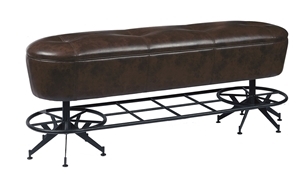 Cultivate a close community among friends with the Old Comfort bench from the Oozlefinch bar collection. This bar height bench offers space for up to three with its 60-inch tufted seat tailored in two-tone faux leather. 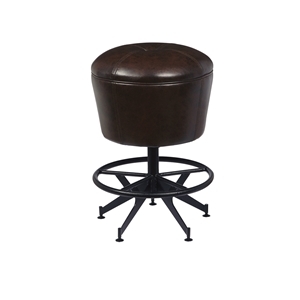 A sleek, industrial-style metal base with foot rail completes this sophisticated spin on the classic brewpub furnishing.